We design useful, little applications that deliver big impact for your business. We build Plugins & Extensions, Mobile apps & Templates and, Custom APIs & microservices - for eCommerce and Content Management Platforms. This Seurata plugin for nopCommerce 3.90 & 4.10 connects your site to Amazon Marketplace Web Service (MWS). Successfully list, sync & manage your products on Amazon Marketplaces. Watch your nopCommerce store on the go! Administer your store - products, users, orders and more. Get useful analytics on your devices - live users, carts, most selling products and other trends. Most of all - get an alert everytime you make a sale - Cha Ching! 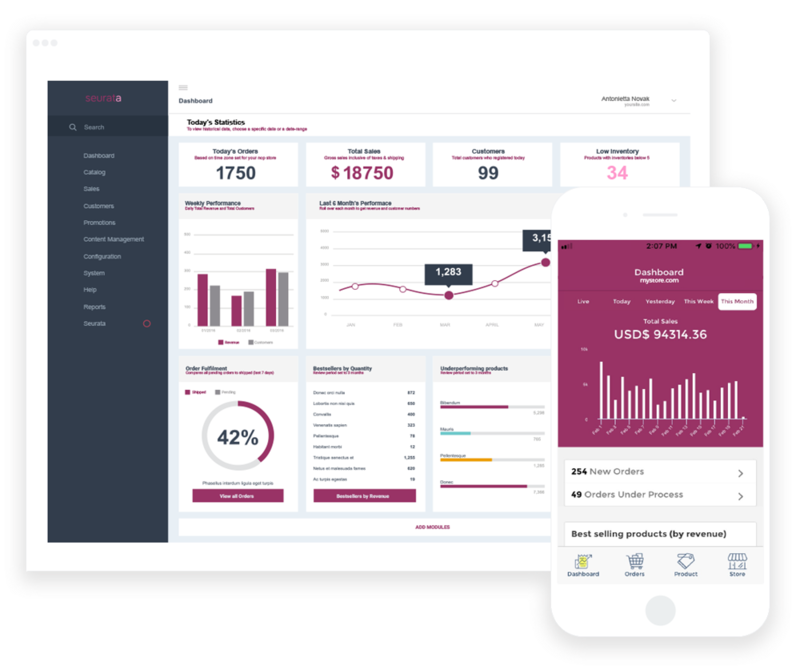 At seurata, we are focussed on integrating and extending the value of eCommerce platforms like nopCommerce, Shopify, WooCommerce; and, Web Content Management Systems like Umbraco and WordPress.